Hennsley Year End Sale promises you greater savings and great deals! 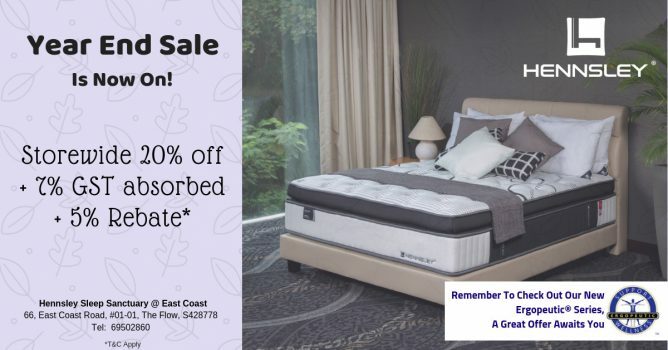 Get 20% off storewide + 7% GST absorbed + 5% rebate on their mattresses from 1 to 31 December 2018! Next: The Coffee Bean & Tea Leaf: Free Upsize on All Beverages when You Tap & Go with Mastercard!